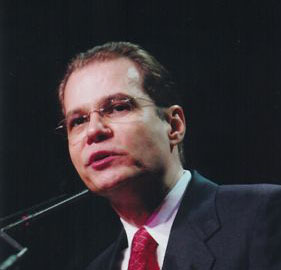 Dr. Hermino Martinez, Executive Director of the Bronx Institute. The U.S. Department of Education has awarded a $1.8 million, five-year grant to the Bronx Institute at Lehman College. The funds will support Project ALPHA (Academic Language Produces Higher Achievement), a new program that provides professional development to teachers in the field of English language instruction. According to the New York City Department of Education, more than 26 percent of all Bronx K-12 students, approximately 40,000 students are English Language Learners (ELLs)—children who are not proficient in English and speak another language at home. In New York City, 62 percent of all ELL students speak Spanish, but in the Bronx that number increases to 85 percent. Using a cohort-based model, Project ALPHA recruits dozens of certified teachers in Bronx public schools, developing a network of support. This month, the program admitted its first cohort, 30 new public school teachers as non-degree students. Each teacher is able to earn credits toward either a Masters of Science in Education (MSEd); an advanced certificate for Teachers of English to Speakers of Other Languages (TESOL); or advanced certificate for bilingual extension. Project ALPHA develops effective instructional strategies in order to help English learners stay in school, gain academic content and literacy skills, and graduate from high school and enter college; some of those instructional strategies include: teaching academic vocabulary intensively using a variety of instructional activities as an alternative to rote learning; providing small group instructional intervention to students struggling in areas of literacy; and English language development. The $1.8 million grant will provide for the education of 150 students during the next five years, or about 30 students per year. The second cohort of 30 students will begin the program in September 2017. Currently, all the students are public school teachers, but parochial school teachers can also be accepted.